We are Stature Marketing! We love small businesses of all types, and work uniquely with each client to understand their industry, define goals, and implement strategies that help their business thrive. Consider us your on-call Marketing Director with a wealth of business knowledge and experience at your fingertips. We create results-driven marketing strategies, engaging campaigns, and creative branding. We are located in Kitchener, Ontario and work remotely with motivated clients across North America. We are known for being honest, reliable, and extremely talented. Since 2010, we have worked on over 2000 projects for nearly 100 clients, and we are very proud of that! We have worked with major events, professional sports teams and athletes, real estate brokerages, e-commerce and retail stores, non-profit organizations, global wholesalers, artists, bloggers, and much more. Our experience is truly invaluable and has made us into a powerful resource. We are Full Stack Marketers with a deep understanding of all dynamics of marketing. Marketing is a fast-paced discipline that is constantly evolving. There are many directions to take, questions to ask, and answers to filter through. We stay on top of trends and study the fundamentals of digital and traditional marketing practices to provide our clients with educated recommendations. We consider every clients our partner. We are friendly and collaborative, but also brutally honest and hold you just as accountable as we are. We care about your business. Your success is more important than anything, so if butting heads from time-to-time is what it takes, we are up for the challenge. We work fast. We work smart. We don’t waste time. We get stuff done! We are a small business too. 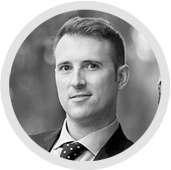 Andrew, is our lead Marketing Advisor and works directly with each of our clients. He will be your point of contact and a key part of your business leadership team. Andrew is a true professional of all things marketing. He has graduated at the top of his class from the University of Windsor’s Odette School of Business with an MBA degree and has developed a 10 year track record of exceptionally creative thinking. Having Andrew and Stature Marketing on your team may be the competitive advantage that your business needs to thrive! Stature Marketing’s ability to design strong brand images for my sales presentations has been an invaluable tool to help secure new business. Their consultative, creative and most certainly patient approach are reasons I look forward to working with them. For quick turn arounds issues, to larger scale branding and PR pieces, Stature Marketing is consistently accurate, creative, flexible, and affordable – making our goal of getting our brand out into the market place quicker and with more frequency. Dealing with Stature Marketing is definitely one of the smartest things that I have done as a business owner. The results speak for themselves, and having a recognizable brand that truly represents your company is priceless. They do more than come up with ideas, they produces visual representations of your thoughts. Do yourself a favour and call Andrew now. It will be the best marketing decision that you’ve ever made! We reached out to Stature Marketing to provide us with a quote for a new website that would be responsive, user friendly and one that we could manage internally for years to come. Andrew and his team have been extremely professional, patient and timely. We are thoroughly impressed and thrilled that we had our website created by Stature Marketing and would highly recommend their services. Are you ready to level up your marketing?